This is one of those trademark applications where at first I’m a little surprised the PTO even allowed it to be published for opposition, but then once you know how the PTO searched for conflicting marks, it becomes a little more obvious – and underscores the importance of the trademark opposition process. On August 9, 2007, SX Energy Drink, LLC (“SX Energy”) filed an intent-to-use trademark application to register the word mark SX for energy drinks (in international class 32). The application was published on January 15, 2008. 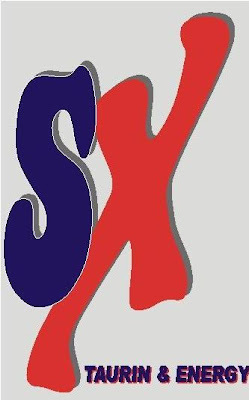 On May 12, 2008, XS Energy, LLC (“XS Energy”), the owner of a line of energy drinks marketed under the stylized mark XS (shown below) filed and opposition against SX Energy's proposed mark. See XS Energy, LLC v. SX Energy Drink, LLC, Opposition No. 91184024 (T.T.A.B. May 12, 2008). XS Energy’s XS mark was registered on March 30, 2004 and covers fruit flavored dietary supplement energy drinks (in international class 5). The different classifications is not what led the PTO to overlook the obvious similarities between the two marks. The PTO’s search focused solely on the mark “XS” (and “X S”) without transposing the letters and most likely would not have discovered XS’s registration anyway even if XS’s goods had been classified in class 32. Nonetheless, it does raise the question as to why the two types of energy drinks are classified in two separate classifications. Well, the PTO must have realized subsequently that these “energy drinks” are more appropriately categorized as “non-alcoholic drinks” rather than as “dietary” drinks and updated its Acceptable Identification of Goods and Services Manual to include “Energy drinks” in class 32. Of course, none of this impacts XS Energy’s trademark rights. XS Energy still holds a presumptively valid registration for the mark XS for energy drinks. When its mark is compared to the proposed SX mark (similar appearance and sound) for similar goods (energy drinks), which are likely to be distributed through similar marketing channels by consumers who are likely to purchase on impulse, XS Energy has a good case for likelihood of confusion.